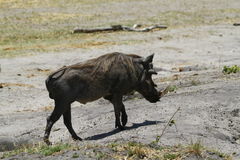 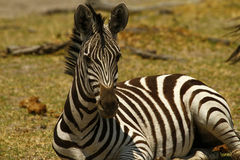 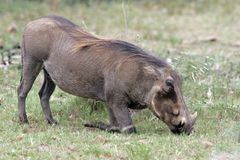 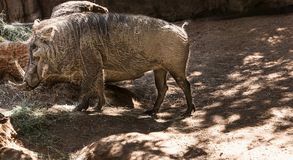 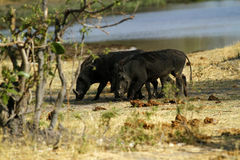 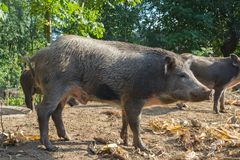 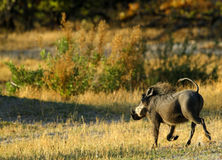 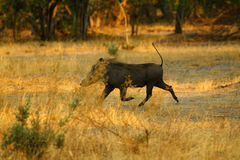 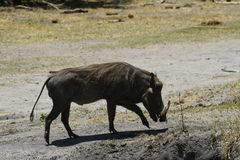 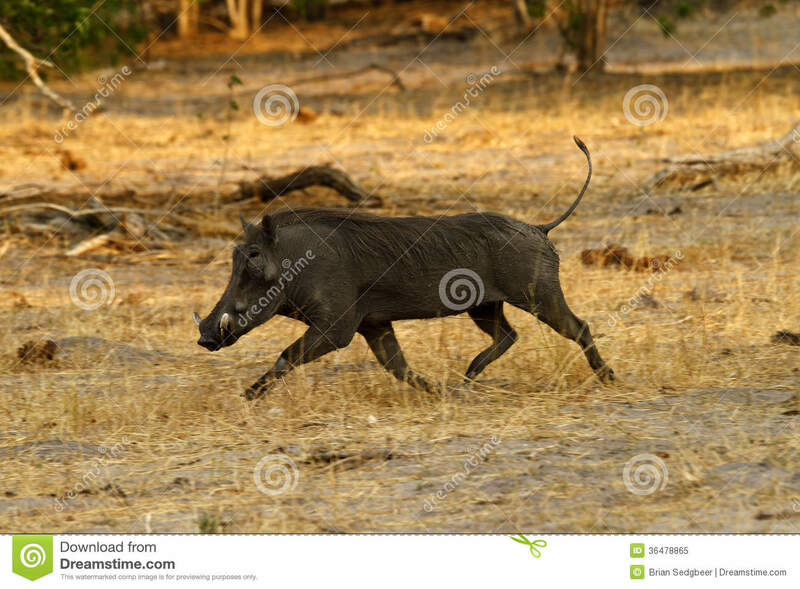 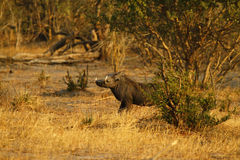 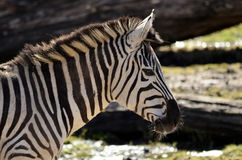 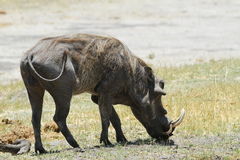 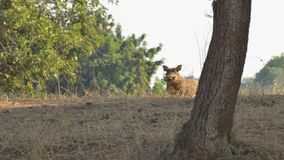 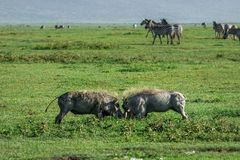 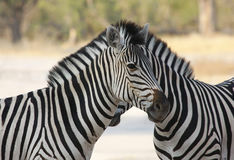 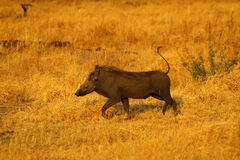 The Wart hog is a wild member of the pig family found in Sub-saharan Africa. 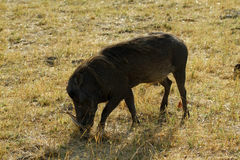 Wart Hog feeding at Pilanesberg National Park Wild pigs in the public forest enclosure are kept for reproduction and subsequent release into the wild Two wild warthogs fighting in the grass. 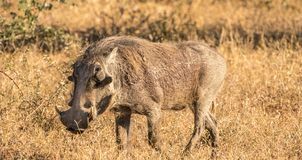 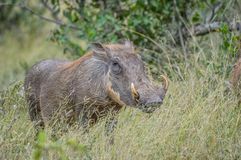 Portrait of a cute common Warthog or Phacochoerus africanus in a game reserve Wart hog A warthog on the move A close up of a warthog from the front. 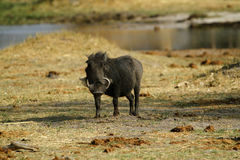 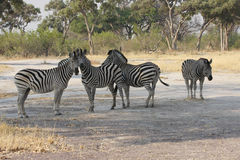 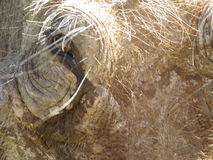 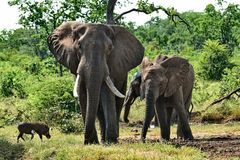 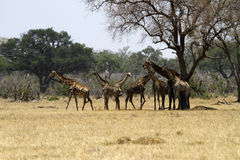 Curios warthog Elephants and Wart Hog near watering hole.